* From antiquity, vegetarian diets have been followed for a variety of reasons, albeit with widely differing nutritional outcomes. As a result, numerous scientific and professional questions have arisen. 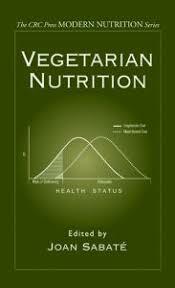 Currently, professional interest in vegetarian nutrition has reached unprecedented levels. This is only partly explained by the growing number of vegetarians and the increased popularity of vegetarian diets. As disease patterns shifted away from nutrient deficiencies and toward diet-related chronic diseases, vegetarian nutrition research also changed emphasis, and the benefits of vegetarian diets have begun to emerge. * As a practice, vegetarianism dates to quite early times in Western society, at least to Pythagoras, the Greek natural philosopher of the 6th century BC, who founded a religious community in southern Italy in which vegetarianism is supposed to have been part of the rule of life.Pythagoras’ rejection of the eating of meat seems to have been based on the doctrine of the transmigration of souls: in Orphic tradition, the human spirit was reborn in other creatures. If so, animal souls were of the same quality as human souls, and animals thus of the same moral standing as people. Slaughtering an animal equated to murder, and eating it was akin to cannibalism.